Glaciers carved Yosemite Valley and once covered the Sierra. 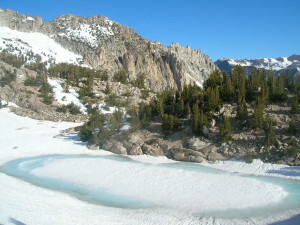 Remnant glaciers dot the Sierra but are rapidly receding. 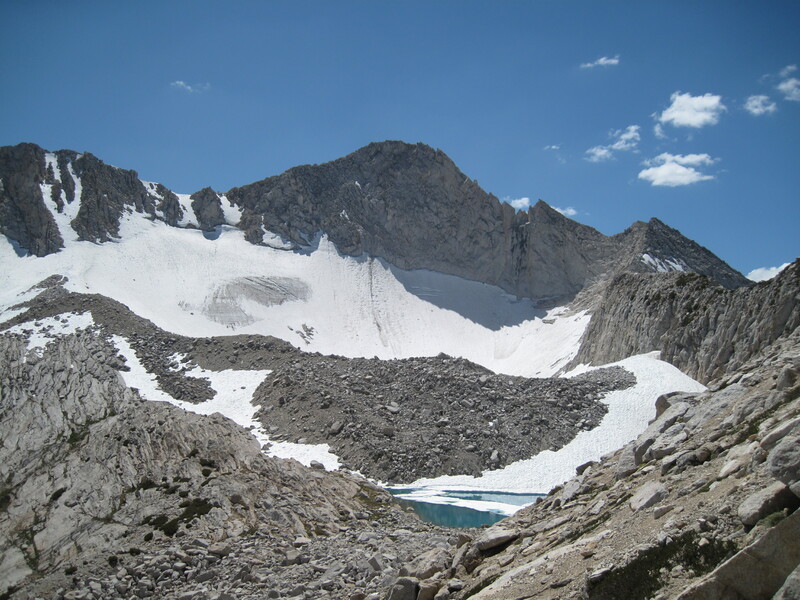 Several recent articles have documented the disappearing glaciers of the Sierra – especially the Lyell Glacier in Yosemite. 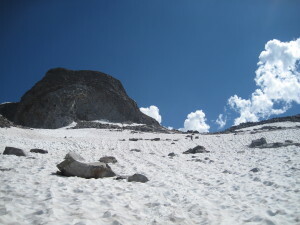 I’ve also climbed amidst the glaciers of Yosemite area, and this surveys the best articles and my experiences. Yosemite National Park and the Yosemite Conservancy created an outstanding series of ~10 minute videos on the natural & human history of the national park. Episode 12 follows several scientists and mountain guides visiting the Lyell and Maclure Glaciers. They sit on the flanks of 13,114 Mount Lyell, the tallest mountain in Yosemite National Park. The video is stunning and showcases features I thought existed in the Cascades vs. the Sierra. Yosemite NPS announced in 2013 that the Lyell Glacier no longer consistently moving downhill. The adjacent Maclure continues to move downhill at its historic rate of one inch per day. 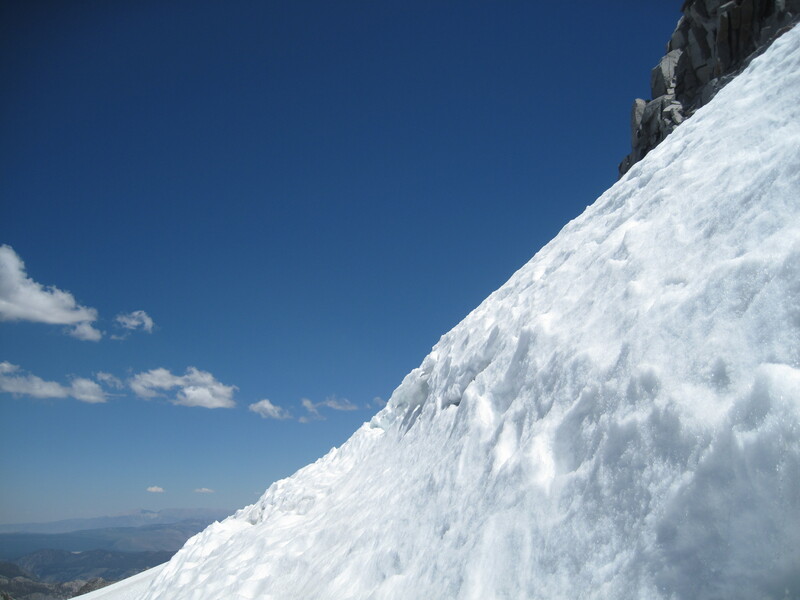 A glacier by definition moves and changes creating fissures, bergschrunks, and crevaces. The lack of movement means that the Lyell Glacier is now technically a snowfield versus a glacier. Tom Stienstra, the San Francisco Chronicle outdoors writer, wrote an excellent Sunday front page article on the Lyell Glacier. He joined a scientific expedition that tracks the Lyell Glacier. He describes John’s Muirs first visit to the Lyell Glacier in 1872. He also describes how 140 years later, over 90% of the glacier volume is gone. Stienstra also describes the climbing adventure to the Lyell Glacier – a climb I did with several friends in 2011. 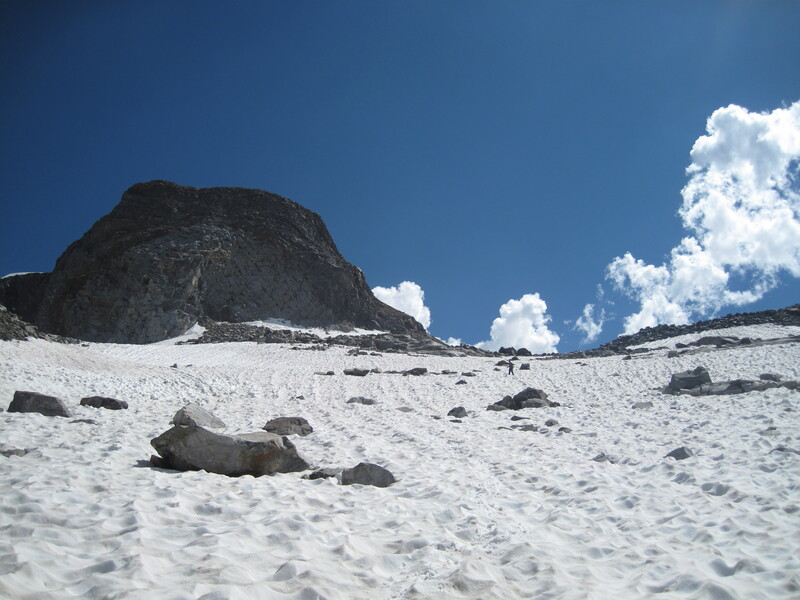 Climbing Mount Lyell and traversing the Lyell Glacier has been one of my favorite Sierra climbing adventures. The journey hits many of Yosemite’s highlights. 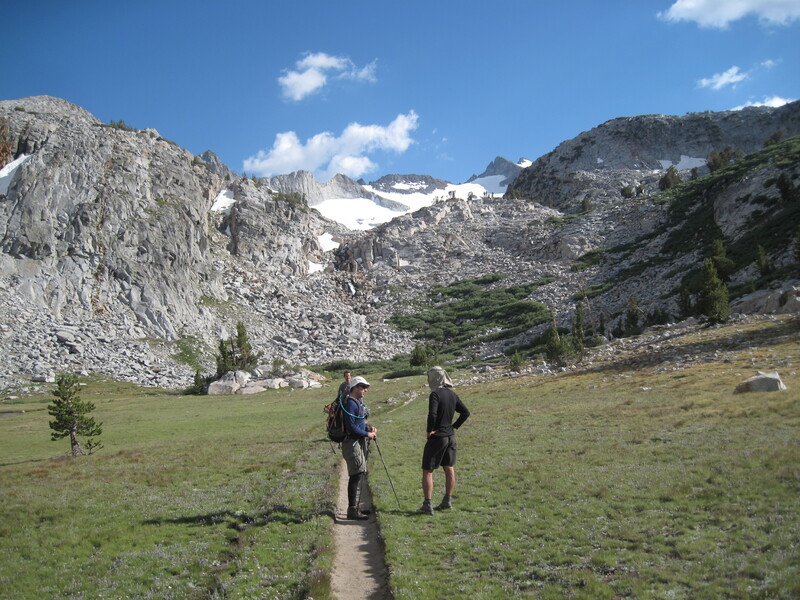 The trail starts in ~9000’ Tuolomne Meadows and follows the PCT and John Muir Trail south through the Lyell Canyon and up toward Donahue Pass. Nearing Donahue Pass, the route goes off trail and climbings work their ways up multiple drainages. The round trip is over 4000 foot elevation gain across ~29 miles with over 10 miles off trail. It is an excellent 3 or 4 day climbing epic. climb in the Sierra, and Conness straddles the border between Yosemite and the Hoover Wilderness. 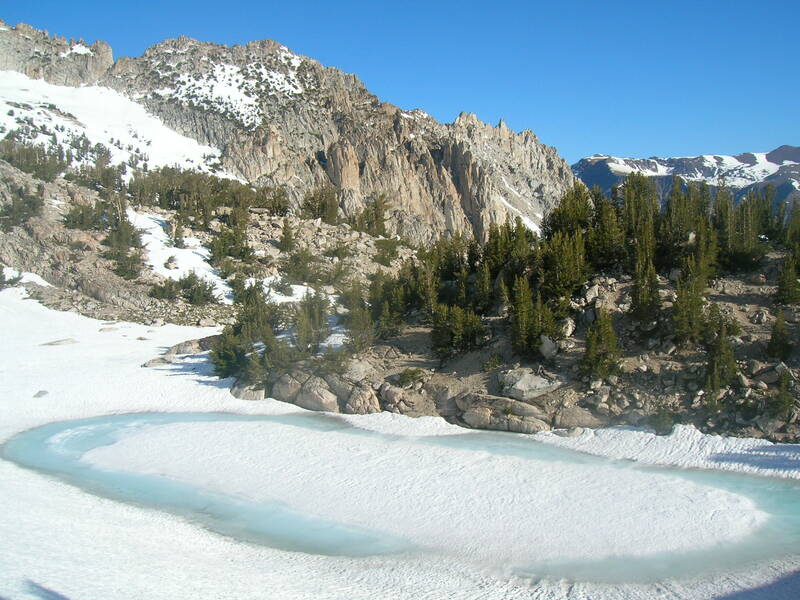 The Conness hanging glacier is hanging tough. The same cannot be said for the glaciers surrounding Mattehorn Peak. Matterhorn, the destination in Jack Kerouac’s Dharma Bums, is a little further north on the Sierra crest where it straddles the Yosemite border. 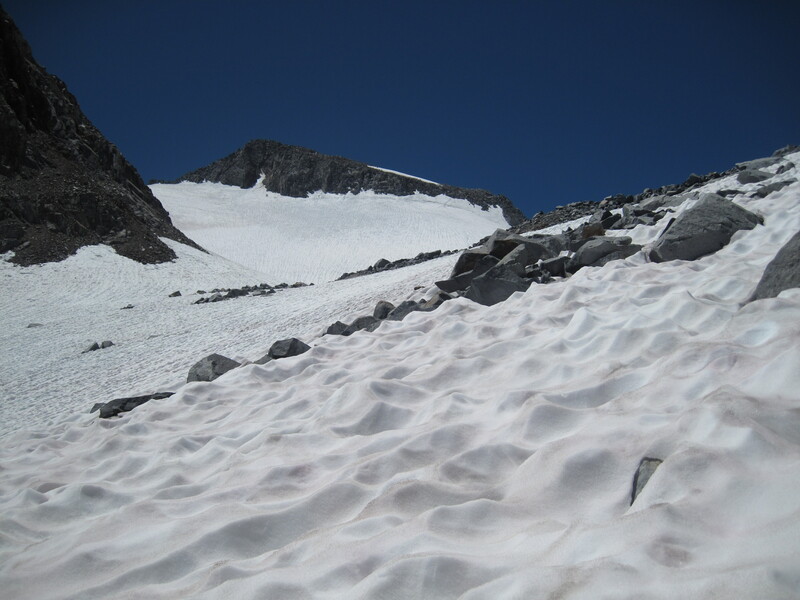 Six years ago glaciers and permanent snowfields covered the flanks for Matterhorn Peak. I’ve confirmed that now only Sierra granite remains. The glaciers are no longer there.